Lee Child should bow his head in shame. I have either read or heard nearly all Child's Reacher tales. This dreary story had so much repetition of daft conversations from the two 'victims' - both seemingly subject to arrested development. Two badly drawn adults deserving the world's condemnation for their utter shallowness...added to the tedium of this story. Jeff Harding did his best, as he always does, to add colour and gravitas, but at times, even the master was hard put to keep my concentration on board. My advise would be to save your money, credits and time. At last we encounter the thinking Reacher, certainly he can still break arms and eliminate those who need to be eliminated, however, this story shows us a different and more cerebra hero. 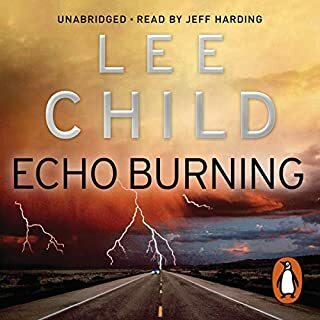 Lee Child has developed his character to negotiate strategies that are very complex and, at times, unbelievable though in the context of the story, necessary. The characterisation through the voice of Jeff Harding, is as usual, brilliant. 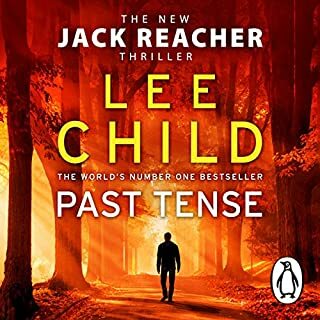 Without our favourite reader Reacher would be a pale ersatz of the real man. Crime and writing as an art form. 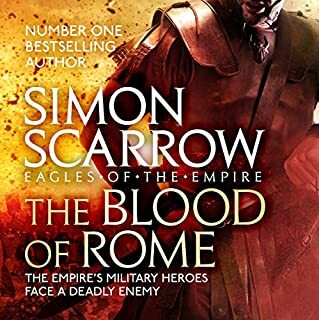 One of the best of the series...in a series of great stories. 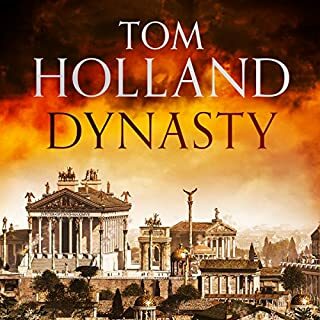 I heard it in my kitchen, listening to 30 minutes here, 15 minutes there, never leaving without a rise in the tension between the main characters. 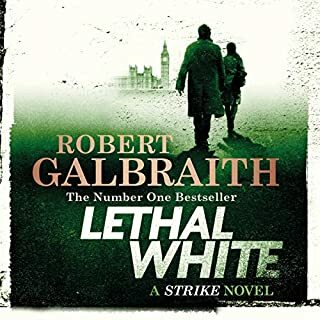 Galbraith (Rowling) is a consummate story weaver as Robert Glenister is as our perfect reader. In an age of press button 'entertainment' listening to 18 hours of a beautifully constructed story is food for both the mind and soul. Robert Glenister is the perfect reader for this strange story. 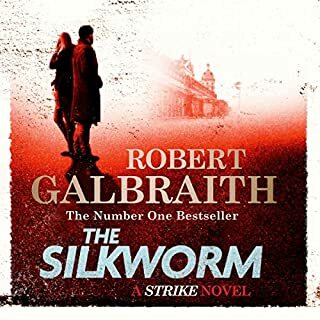 Galbraith weaves a story from the oddest of threads, pulling and knotting them into an elaborate cloth of Byzantine complexity. At times patience is a gift that will allow you to share the logic that Strike employs to find the villain from the mere nasty folk. The Class Riven Complexity of Crime. Once started with this story I found it compelling. Because life gets in the way of a long sitting I found 30 minutes would satisfy my dosage...maybe three times a day. To miss an aural fix was unthinkable. The timbre and gravitas brought to our amputee private eye was a gift for the initiated follower, along with Robert Glenister's reading and the complex plot made the 22 and a half hours well worth being plugged into my iPod. 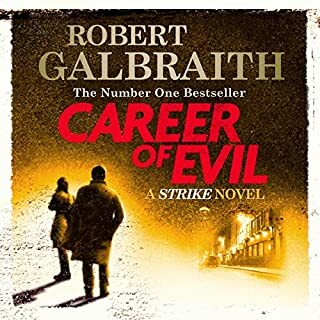 Now for the next Cormoran Strike treat! I think I've read and heard all of the Reacher stories so I am an enthusiast - so long as Jeff Harding is the reader. The Visitor takes too long to take off and when airborne flies in ever decreasing circles. After all this time Reacher has turned into an arrogant curmudgeon who delivers his supposed wisdom in non-sequiturs. 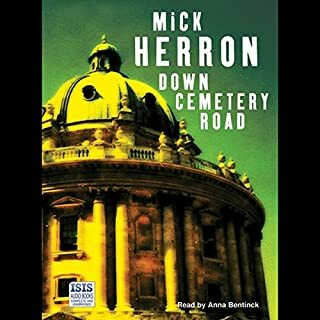 This story requires patience of a high order though if you like Lee Child's writing you'll stick with it. 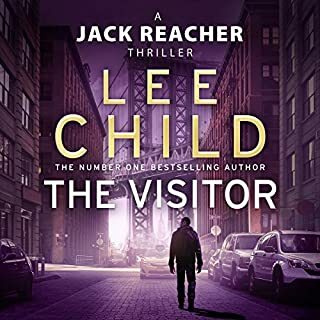 This is Book 4 in the Reacher series and there are better though Child offers a difficult scenario ...correction, an impossible scenario, for Reacher and his women colleagues to wrestle with. Reacher being a woman magnet he has to lead them down the path of reason as they are a tad on the dim side. The complexity of badly kept secrets. Essentially it's a fine story told over far too many hours. It takes off like a heavyweight goose unable to fly for a mile or two, flapping and slapping until it embraces the air. It involved characters only of peripheral importance all clamouring for attention whilst blathering arguments to establish their importance. 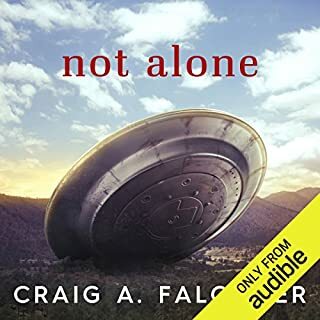 You have to persist with this story as there are excellent phases that are pertinent to the premise that we are 'Not Alone. Stick with it!